Description: Magazine 'Rakuten puck' (issued twice a month) published by artist Rakuten Kitazawa. Kitazawa is seen as the founding father of modern manga and the first professional cartoonist in Japan. Rakuten Puck, Vol 2, no. 17, 1 September 1913. 24 pages with black-and white and color illustrations. Several English captions. Features comments on historical and current events and political cartoons and lighter forms of entertainment, such as cartoons portraying scenes from daily life. 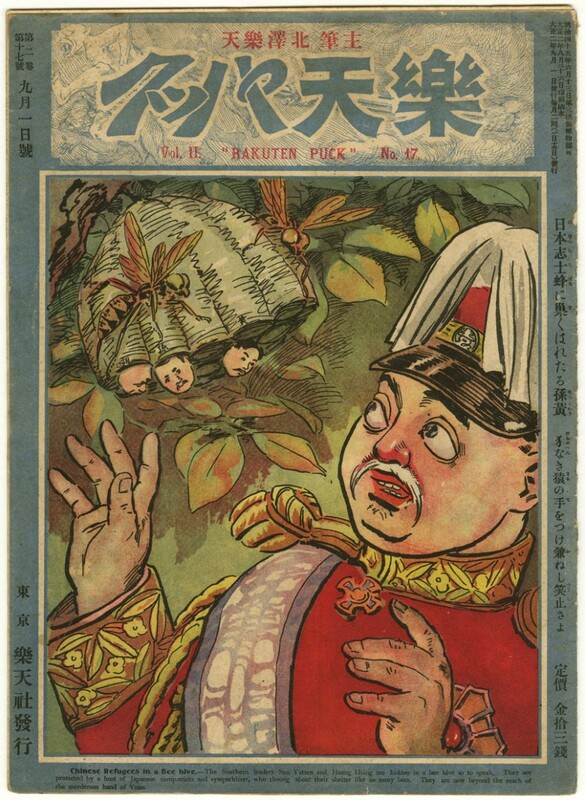 Cover: 'Chinese refugees in a bee hive'. 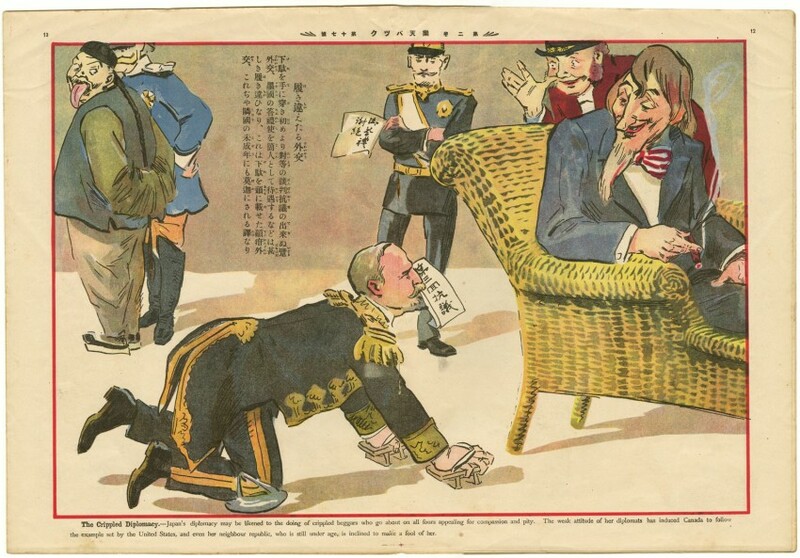 Also features a large two page color-illustration titled 'The crippled diplomacy', criticizing Japan's diplomacy and likening it to the behavior of crippled beggars; going on all fours appealing for compassion and pity.